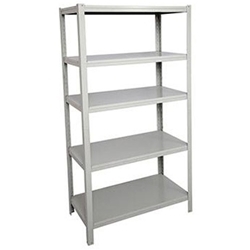 Features: Open Bay Storage shelving. Frame: Steel Powder coated. Clip Lock system which means no nuts and bolts. Loading: 5 Shelves per unit. Each shelf will carry up to 50 KG evenly spread.
. 1830 x 1220 x 457. Features: Discontinued line and now 2 only available in White on Chrome Eifel style frame @ $88.00 each including gst. Colours: White Shells with stock White Vinyl seat pads. Frame: Solid Chrome Wire polished frame.